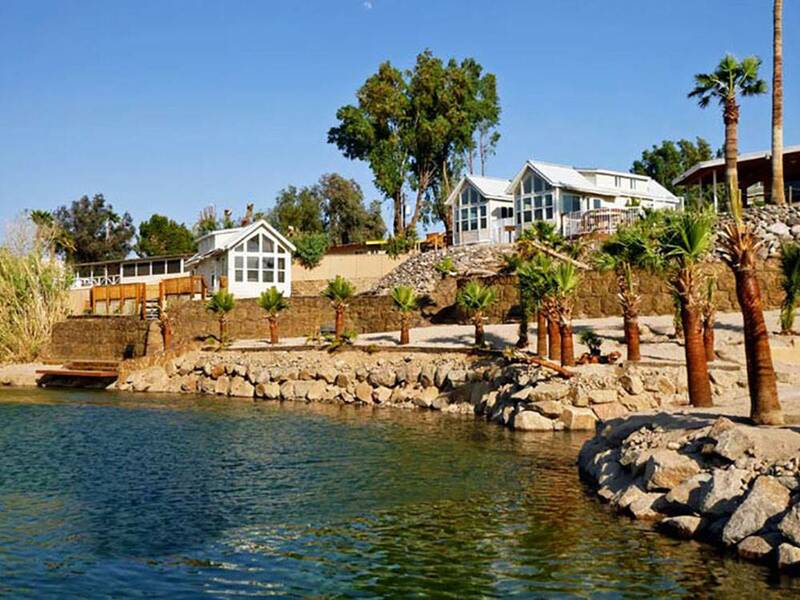 Fully furnished lodge rooms and park models overlooking the Colorado River with heat and air conditioning. Lodge rooms with full kitchen or kitchenette. I thought the fact that Bullhead City having a main water burst, and the park not having water for a day, was bad. But after asking if the park would consider a discount or refund for the day, the manager sends a most disturbing reply saying to "take it up with the City" made the situation much worse. It's not the first time I heard this lady get nasty and out of line with customers. She's a piece of work and should be assigned away from the public. It's a nice park, but they have no accountability there. They shut the office doors to go home on the weekends "because that's their only days off". Really? Who are the owners? I would not want my park run this way. First off, don't believe the "free WiFi" advertised and that management will tell you is available before you actually check in. We were told AFTER we checked in that the WiFi was "useless." And that did indeed turn out to be true. Would be nice if they didn't advertise it all over their site and tell people they offer it. Second, this is the noisiest RV park we've ever stayed in. The noise goes 24 hours a day. And next door to the park is a RV and boat place that pressure washed until 11pm. They also had a giant LED sign that flashed rainbow colors 24/7 for our whole stay. When we asked the management what our options were regarding the situation, we were told there we none and the manager repeatedly said, "That's not my problem." When we asked about leaving early (after just 1 week) and canceling months 2 and 3 of our reservation, we were threatened with losing our $200 deposit. We were trying to give 3 weeks notice and not even asking for any refund on the $425 we paid for the first month. AFTER we told the management we were checking out and AFTER we left a very honest Google review, they then decided to refund our $200. So we paid $425 for one week and they're now able to book that spot out for the remaining weeks and get more money. We were told by the management that it wouldn't put them out "in the least" if we left early. Apparently the management did go next door to talk to the owners of the LED sign, but we weren't told about that until we said we were checking out. But somehow we were supposed to know they did that on our behalf. This park asks for LONG commitments, so beware that you don't run into the same troubles we did. Make sure you know what you're getting into 'cause the bad spots in this park are BAD. 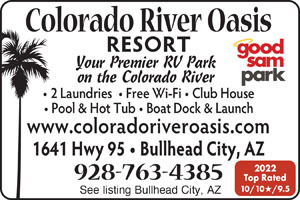 Experience the most welcoming & beautiful waterfront RV Resort on the Colorado River. We have exceptional amenities and activities to suit every interest. From fishing to tubing, relaxing to swimming, you can do it all here. With views of the river and mountains and having your own kitchenette, all you'll need is a suitcase to enjoy a relaxing vacation in our rentals. Steps from a swim beach and pool this will soon be your favorite place to stay.